Being a Car Camper most of my life doing it the hard way I Have a thousand ways I could explain the joy of waking up in a Roof Top Tent elevated and safe in the comfort and protection of a Roof Top Tent is unlike any other auto camping experience. Imagine a tree house that you could take anywhere and you don't even need a tree. Unlike traditional tents you are not beholden to the grounds temperature variances or moisture periods. You are not blinded by the sun or wet from the morning dew. From Campers, 4x4 off roader, festival goer's, nature seekers, cat & dog lovers to bird watchers, Rancher's, Farmers and even scientist having an elevated platform from which to operate has 100's of advantages with few if any disadvantages. Many customers over the years that have called us after using the Roof Top Tents for themselves have told us what they felt was that there was no better way to quickly enjoy the outdoors and utilize nature with little to no planning, spur of the moment any time or any place! The tent represents a form of freedom you can't get from anything else! Gas and go! 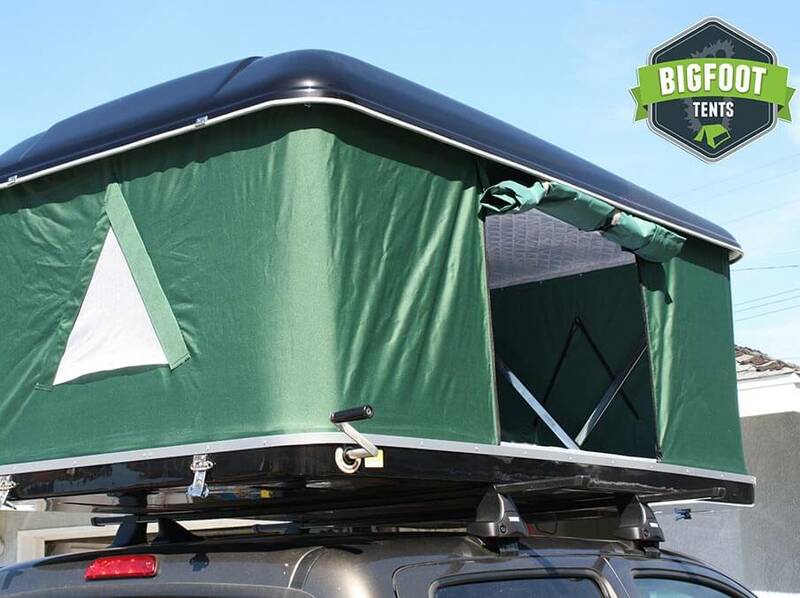 We are so very excited to bring you our newest models of Bigfoot Roof Top Tents. These RTT's are excellent for EXTREME use. All weather, Full Sun, Rain Snow, Wind, Ice you will be fully sheltered in any model of Bigfoot Tent. We are shipping them as fast as we can build them. You are welcome to place a small deposit of 20$ to hold your spot. As the RTT is completed you can pay the balance and the tent will be shipped to you via LTL freight company to your curb unless otherwise stated. We deliver anywhere in the U.S.A.! If you are looking for Roof Top Tents you have come to the right place! If you have any questions regarding our Bigfoot Roof Top Tents please contact us we love to talk!